At 4:00 on long winter afternoons, I like to take a break from my studio activities and have a cup of tea. 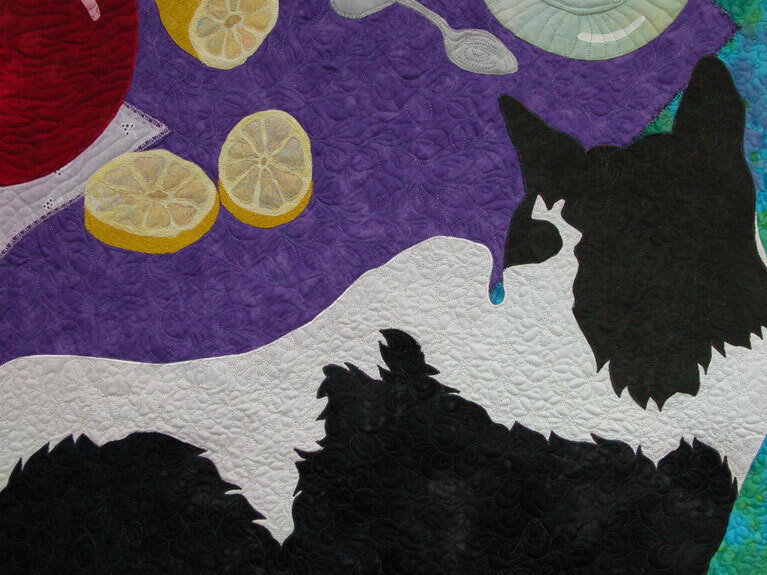 Oreo and I sit at my cutting table, in the studio, watch Oprah, and sip a cup of tea. This is a few moments of relaxation for me while I rest my eyes and shoulders from a long day at the computer or sewing machine. Then I finish up my sewing for the day, start dinner and evening preparations for my family. 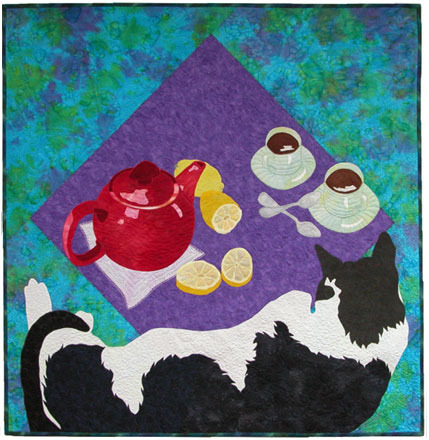 The figures on this quilt are fused and machine appliqued in place. 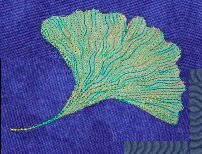 A considerable amount of machine quilting adds the detail and surface texture. Oreo is covered with variegated thread in floral patterns. 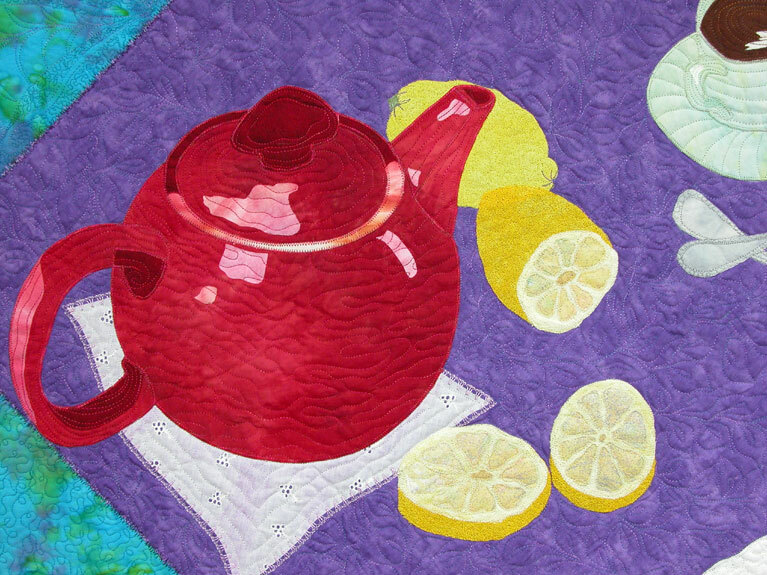 Only the lemons are covered with free-motion embroidery.